The Jute Product Development Export Promotion Council (JPDEPC) recently organized the first edition of JuteXpo, which proved fruitful for exhibitors as well as the visitors, in Kolkata. The 21-member delegation of Delhi-based Buying Agents Association (BAA) attended the show along with a buyer from Bangladesh. They explored the possibilities for overseas as well as domestic market. BAA was the sourcing partner of the event. 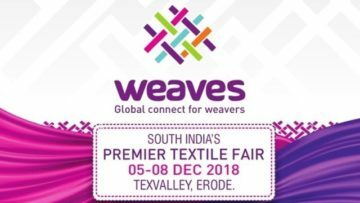 Some of the interesting products at display were Jute hand/shopping bags, beach bags, ribbons, placemats, runners, floor covering, decorative fabric, geo textile and other Jute handicraft products. BAA informed that the delegation got good vendors in this small but well-planned event.